Yay to another Face of the Month post! In this post, I will mostly be using Makeup Revolution products to complete my makeup look today. 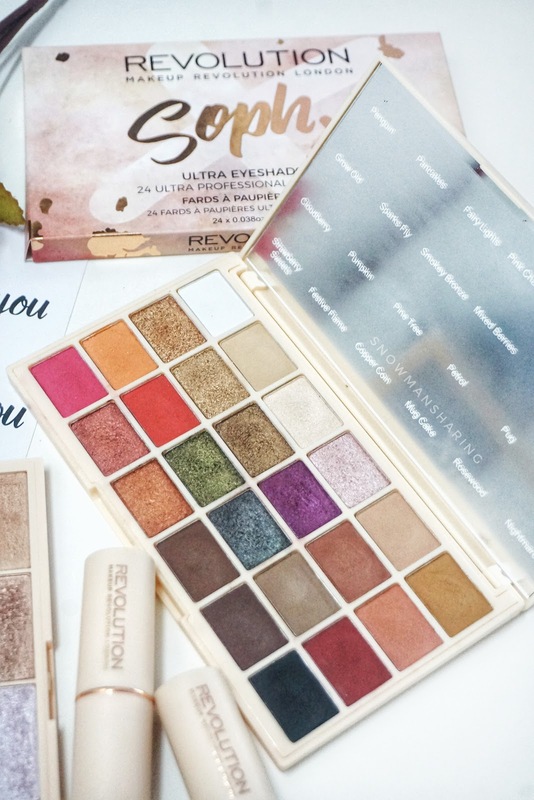 I have been obsessed with Makeup Revolution products and new arrivals simply because their products never fail me and it was really affordable too! Nothing really fancy about today eye look. It is more to warm orangey tone that Asian like! The picture might differ due to filter and edit. Steps in my makeup video are much simpler but I do add a darker brown tone on the end of my crease to emphasize my eyes even more. 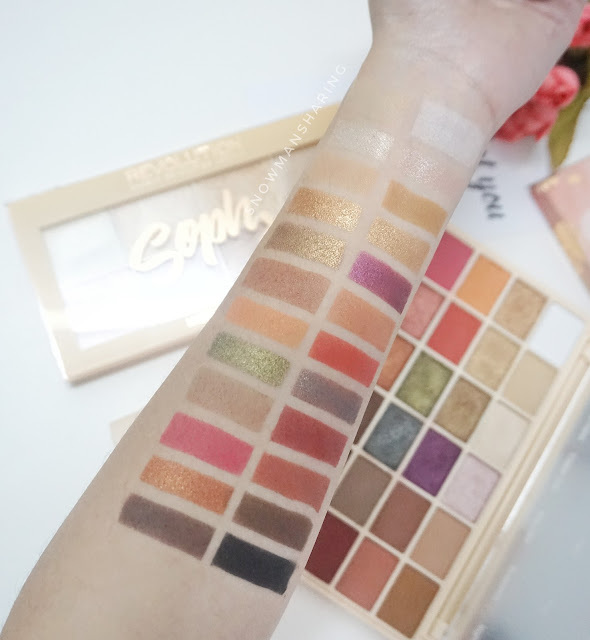 This palette comes with the perfect mix of 14 mattes and 10 shimmer eyeshadows to create everything from a natural daytime look all the way up to full glam. 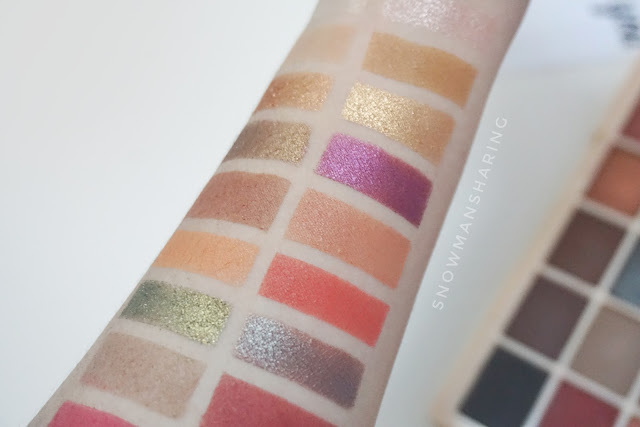 So if you are someone who prefers light shimmers, warm browns, rich golds, rusty orange, dark smokey shades or even some pop color this palette is perfect for you! Super versatile that you can carry anywhere you like, with mirror and super versatile use too. 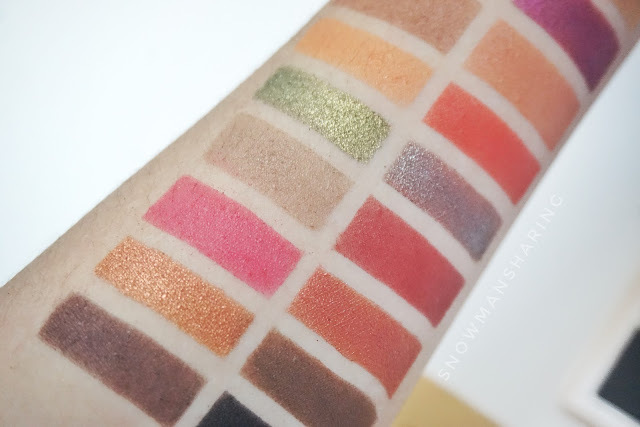 I will show u guys the swatches next, scroll down and read on! 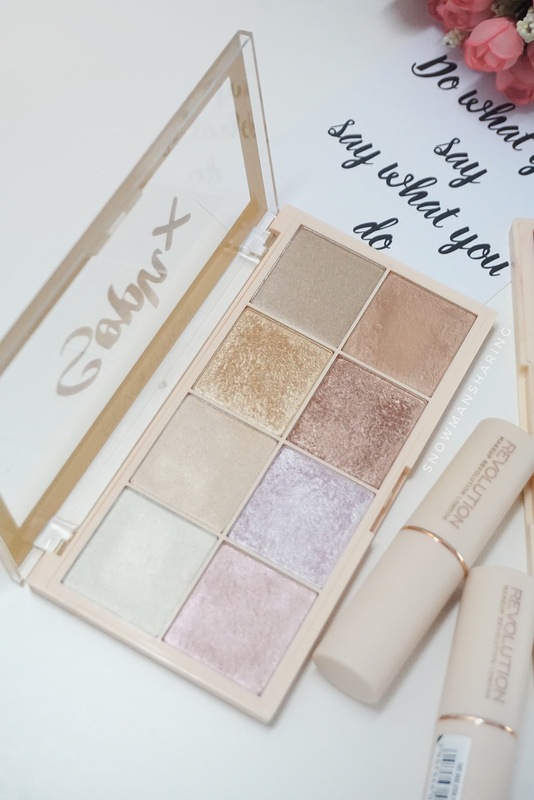 If you are looking for a highlighter palette that does it all look no further! From a natural glow from within to a blinding highlight that can be seen from space, we got you covered. With 8 different shades (5 baked and 3 pressed), you can pick your favorites or mix and match colors to create the perfect glow for your skin tone. The pigmented of each highlight colors in this palette is super pigmented and GLOWY! You may watch my video to check out how crazy pigmented the highlight on my cheek. Each of the swatches glides on perfectly on my hand! Since there's no specify color name on the eyeshadow palette, I will just name it as the closest color you see from the picture. What colors I love the most in this palettes? I would say is their mattes colors actually although I am more to shimmer kind of person. But their mattes really stand out in this palette. From warms mattes to darker mattes, each of the matte colors has their own beauty in it. 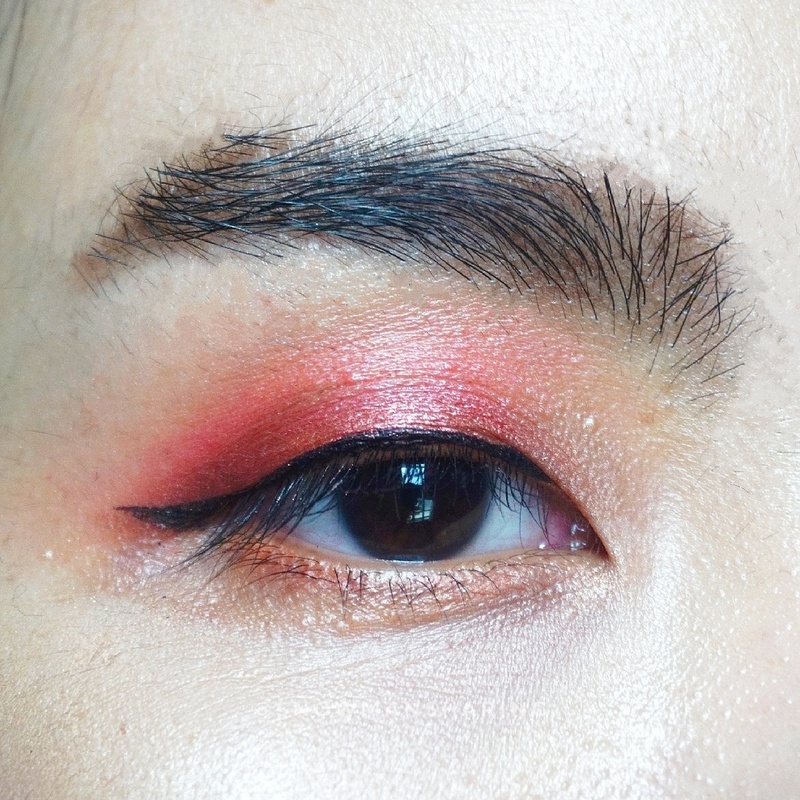 I love the pink and orangey mattes the most! I manage to get one holographic color from their shimmer swatches. As for all the shimmer colors is really pigmented as well, I enjoy using their warm shimmers colors for this summer look! 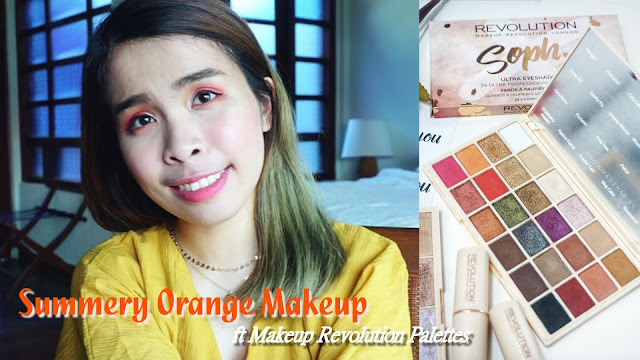 So lastly, please do enjoy my 1-minute short video on how I create this Summery Orange Makeup look!